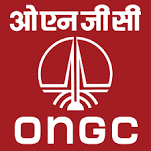 Oil and Natural Gas Corporation Limited (ONGC) Mehsana has published Advertisement for below mentioned Posts 2017-18. Other details like age limit, educational qualification, selection process, application fee and how to apply are given below. Venue: Office of In-Charge, Medical Service, ONGC Nagar Dispensary, Palavasna, Mehsana- 384003.